I was a participant on a community food-growing and eco-arts project in Devon when I started to photograph ‘all-things-manhole’, as I called them. As I reconsidered my carbon footprint against the fundamental necessity of water and sewerage, electricity, gas and telecommunications usage, I had started to notice more the ‘little patches of ground’ that these associated utilities’ covers and such occupied. My basic mobile phone camera (3.2 megapixels) transformed their colours, enlivened their text and textures, emphasised the metals’ embossing and patination. I was hooked! This became a year-long therapeutic ‘snapaholic’ project (cheaper and more cheerful than shopaholicism), easing my transition from spacious living in semi-rural South Devon to downsized dwelling in citified London-by-the-Sea, and was concluded by creating a photobook on Blurb.com. 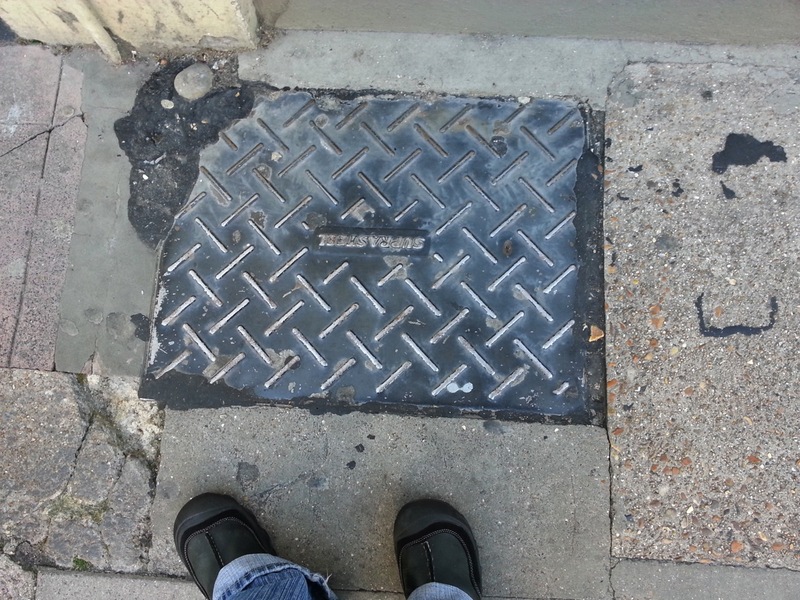 It was a struggle to edit the number of images as I kept discovering ever-more stunning Victorian covers in Hove… But, finally, ‘Utilitarian: A Pavement-Level Perspective’ was printed.